Harry Potter fans, you are welcome! If you have family or friends who are Harry Potter fans, then this is the perfect gift for them. I was so excited this summer when this idea walked into my head. I'm so glad the time has finally come when I can share my idea with you! 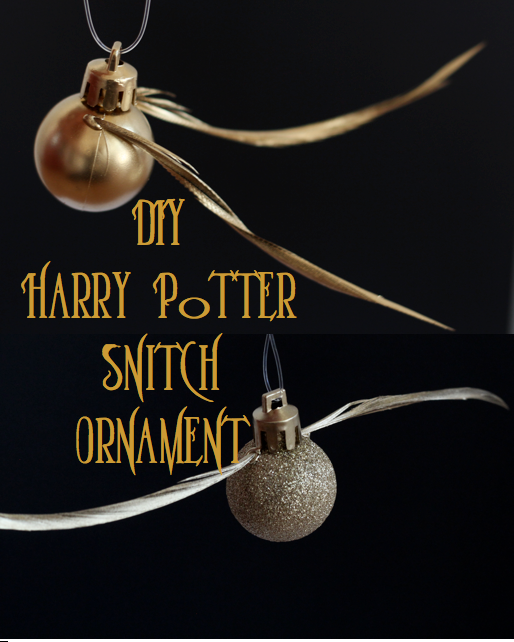 Not only is this DIY Snitch Ornament so easy to make, but it's inexpensive and you can check off everyone on your Christmas list this year for just a few bucks. Buy some inexpensive bulbs and a package of skinny feathers. They can be any color since they will be spray painted in the end. I chose a box of tiny bulbs, but you can do whatever size you like. 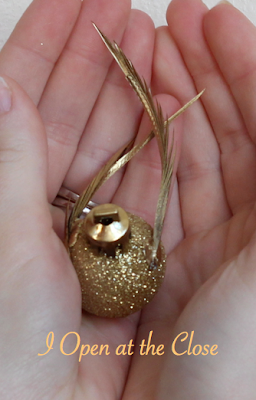 Grab a can of Rust-oleum Metallic Finish in Gold. Cut the feathers to size. I cut mine about 2-3 inches long for my tiny bulbs. Hot glue the feathers onto the sides of the bulb. The wings can extend out to the sides or towards to back. Just use a tiny amount of glue so it's less noticeable. Then take the snitches outside and give them a good spray of gold finish. 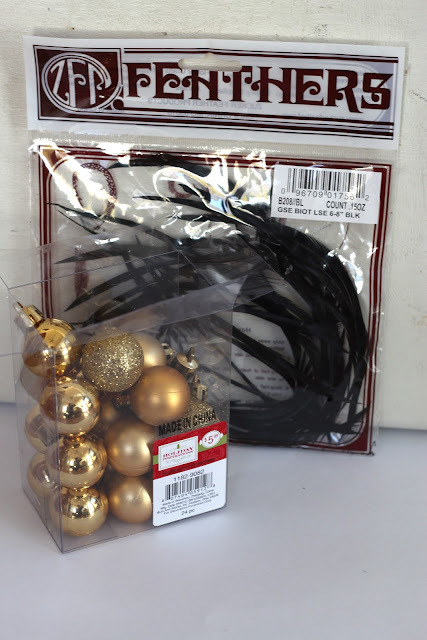 Tie on something to hang it with like ribbon, tulle, string, or whatever you want. Be creative! And there you go; the perfect gift for almost anyone on your list. Did you do something to the feathers to make them look a certain way? (stay in that position) or will the spray paint cover that? Oh what a fun idea - I am a massive HP fun and must give it a go.